Pizza lovers, rejoice! 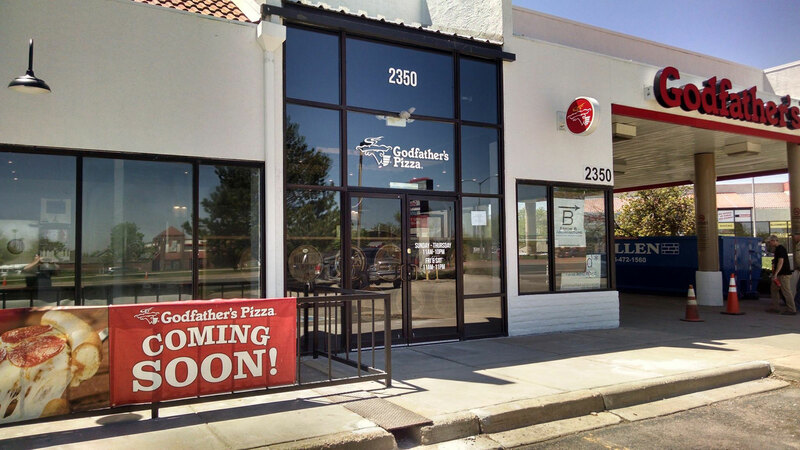 Arrow B Architecture is pleased to be a part of bringing a perennial pizza chain favorite back to Denver after a 20-year absence with the grand opening of Godfather’s Pizza in Thornton. Arrow B helped develop the 2500 s.f. location at 2350 East 120th Avenue in York Street Station. The space is converted from its previous use as an outlet bakery into a prototype for new Godfather’s locations. The team worked with the franchisee and headquarters to help refine the updated corporate standards: a contemporary take on Prohibition-era details and décor. 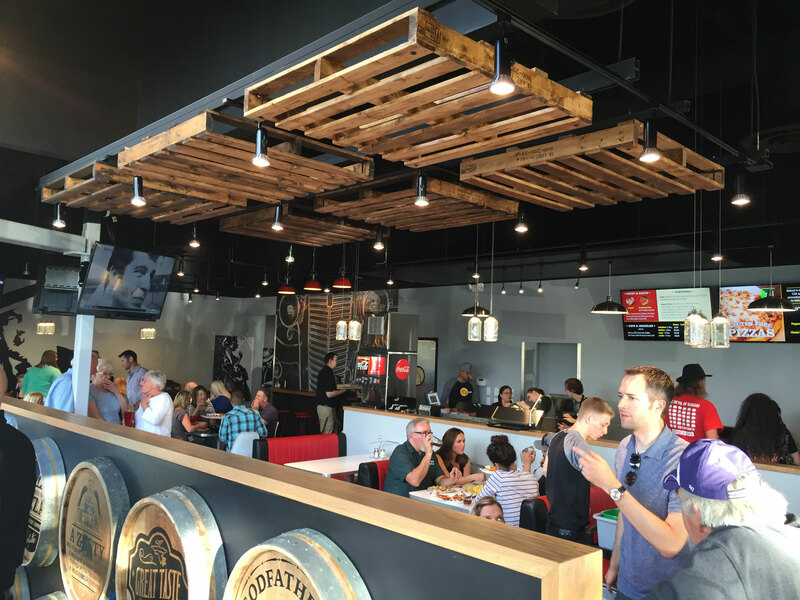 When you head over to Godfather’s, keep an eye out for the custom palette ceiling element, custom barrel wall and fun mason jar lights. 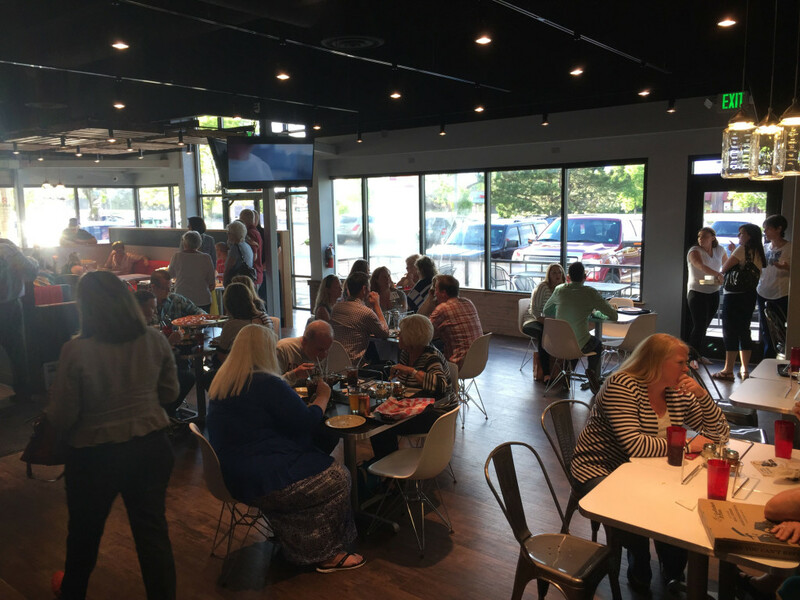 The house was packed for the grand opening as patrons arrived to see the rebranded space. And it did not stop there as this new location went on to set the Godfather’s sales record for opening week and the record for total sales in any week ever. 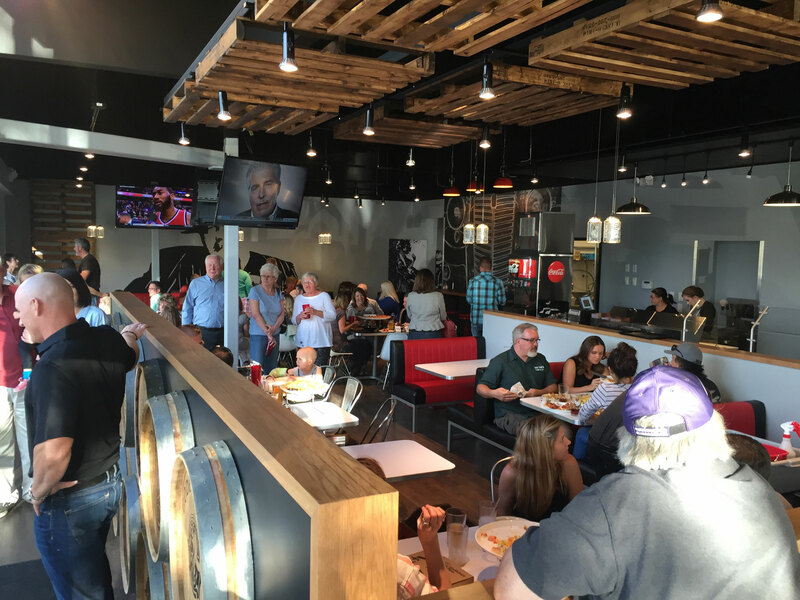 We wish continuing success for the Thornton location as they continue whipping up delicious pizza pies. A second location is currently in the works. For more project photography and information, check out our project page.